I’m an ardent admirer of the inspiration one art form can fuel in another. Occasionally these prompted pieces can take the form of a dialogue with the original works, adding meaning and verve to those earlier pieces. 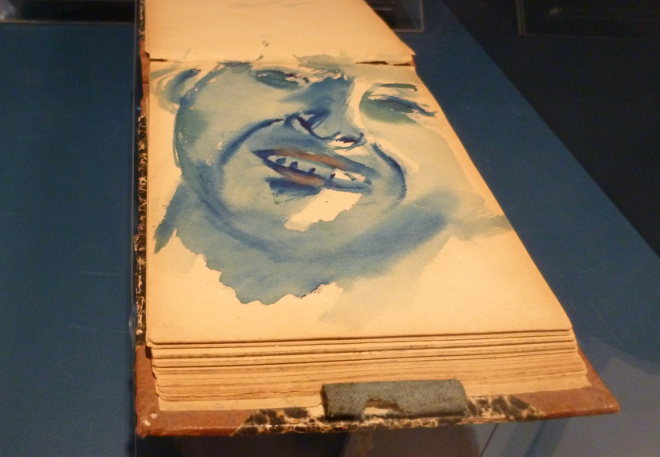 At the Santa Giulia museum of Brescia, a duel exhibition is performing just this feat, showcasing 35 works by 1997 Nobel prize winner Dario Fo created in direct response to the work of his hero Marc Chagall. 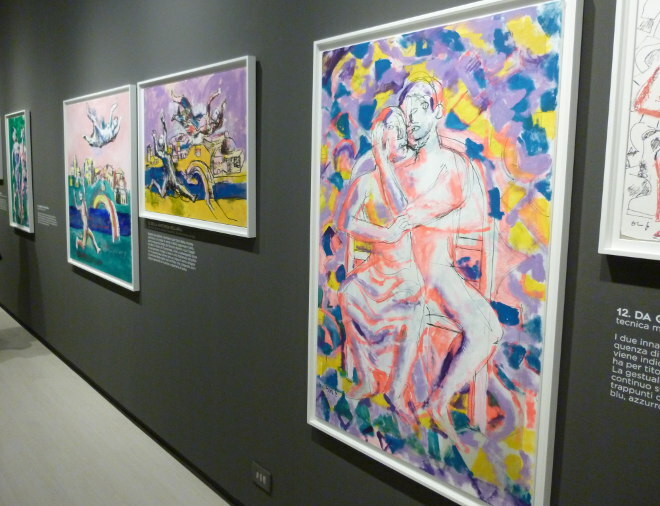 Rather like a duet of piano and cello playing out to exquisite effect, with one passage of notes echoing and building on the other, the exhibition features celebrated pieces by Chagall reflecting moments from his youth and early adulthood, with dreams and impressions woven into the paintings and sketches, many of which have never been displayed before. I entered this gallery first, accompanied by dozens of members of the Italian press, all jostling for a closer look and a quote from curator Eugenia Petrova and artist Dario Fo. 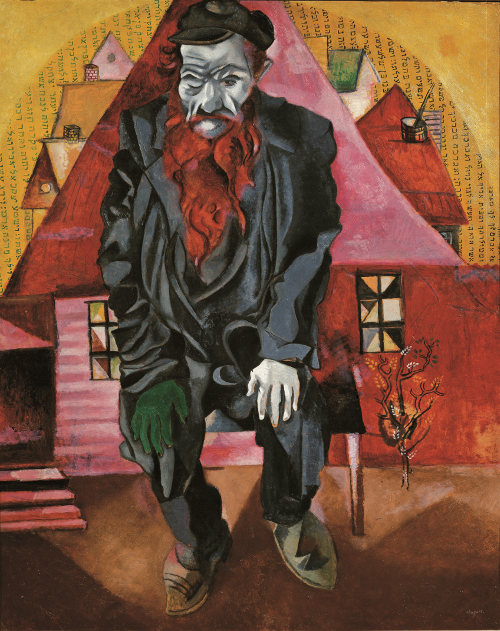 The images, which include stunning early works from Chagall’s childhood in Russia, resounded against the walls of the narrow space, presenting scenes of farmland against portraits of Jewish workers – this is the artist whose painting The Fiddler inspired the musical Fiddler on the Roof, a detail I rather love, and which demonstrates the visceral energy of his work. Fo, you may recall, is most celebrated for his work in the theatre (as a playwright, set and costume designer, director and even composer) explaining in part, perhaps, this match made in heaven. 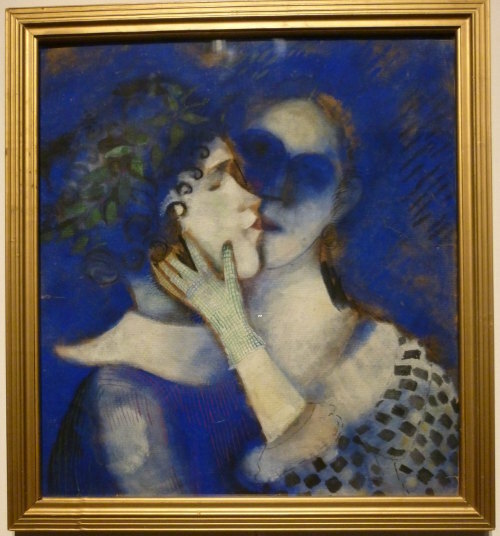 Many of Chagall’s works speak of love, too, which is also an enduring theme for Fo. 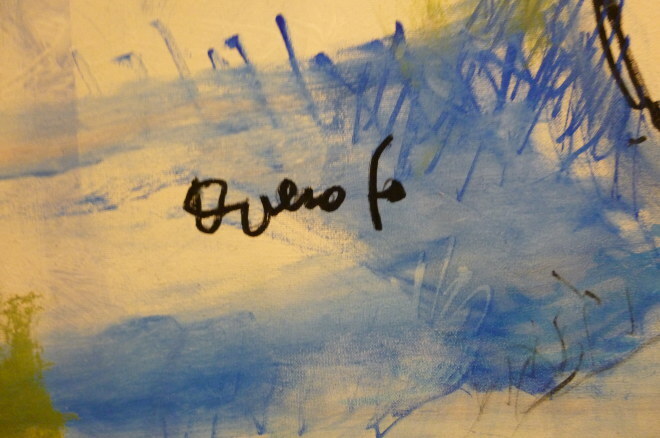 In a separate hall, I strolled amid the 20 works by Dario Fo, each created especially for the exhibition. 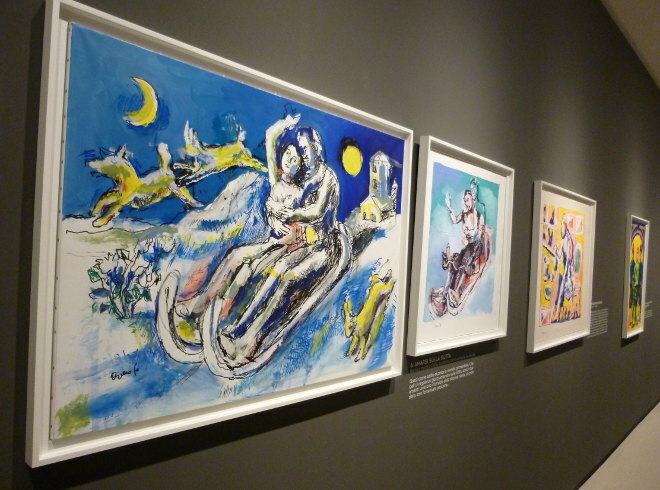 Accompanied by 15 preparatory paintings, the companion pieces draw from Chagall’s work but also Fo’s own life. They fizz with vigour, revelling in their colour-saturated canvasses. 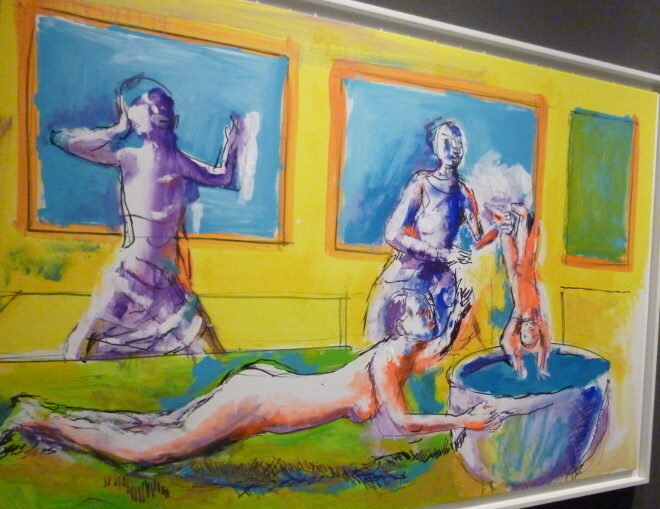 Even pieces depicting traumatic events (such as this one by Fo showing the new-born Chagall being plunged into an ice-cold bath to shock him into breathing), are packed with humour. 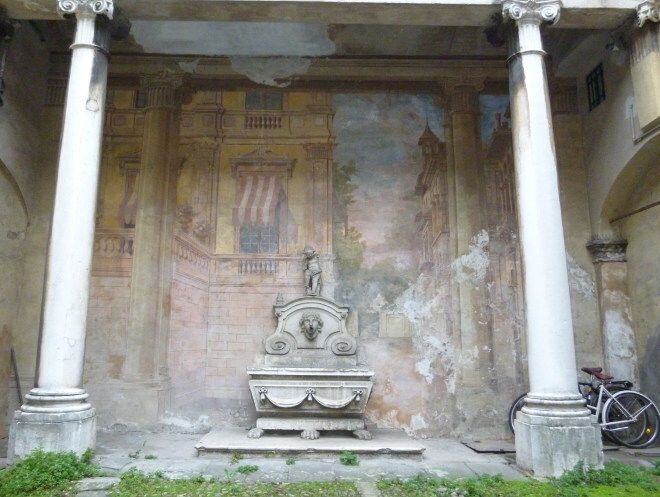 There’s a wonderful sense of Dario’s personality imbuing the pieces, a wry wickedness and a glint of mischief. 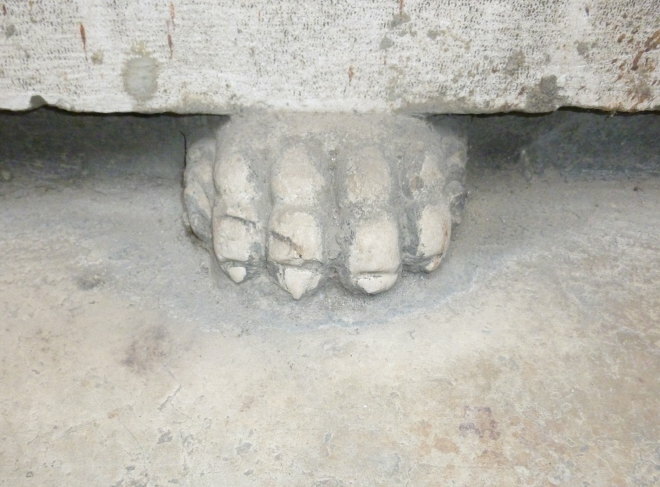 This is, after all, the man who muddled together European languages to create a brand new theatre experience. It’s a legacy that lifts both segments of the conjoined exhibition, along with a passion for the fantastical and surreal. 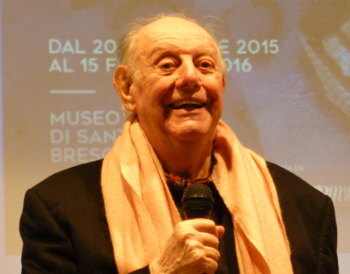 Dario Fo was born in March 1926, and discovered Chagall’s work when he was only in his twenties. It’s such a happy and harmonious union that I can only wonder that this collaborative exhibition didn’t happen earlier, and be glad that it happened at all. 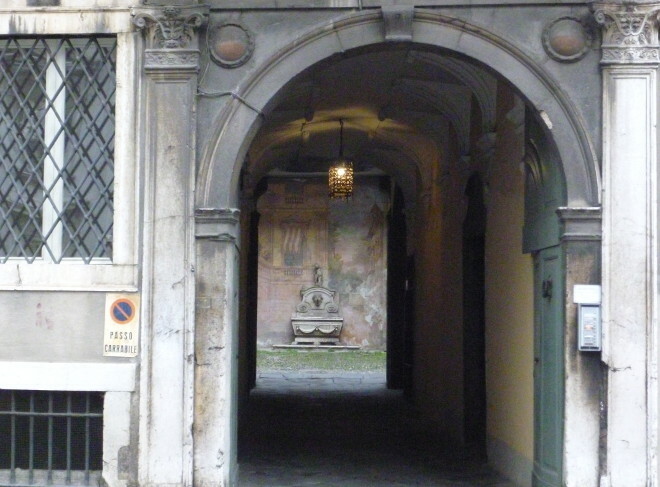 While travelling through Brescia, northern Italy, Judy Darley discovers a dying art that protects one small corner of the world.